The aftermath of the storm from the previous day was still apparent. 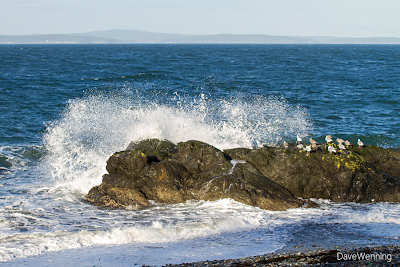 West Beach faces the Strait of Juan de Fuca and it was quite windy here with lots of surf rolling in. 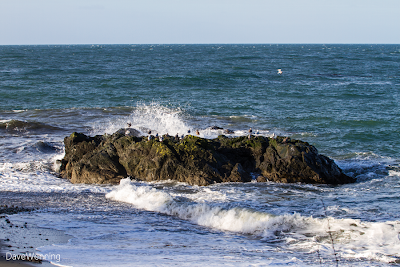 If you enjoy wild weather and roiling seas, this is one of the places to find them. 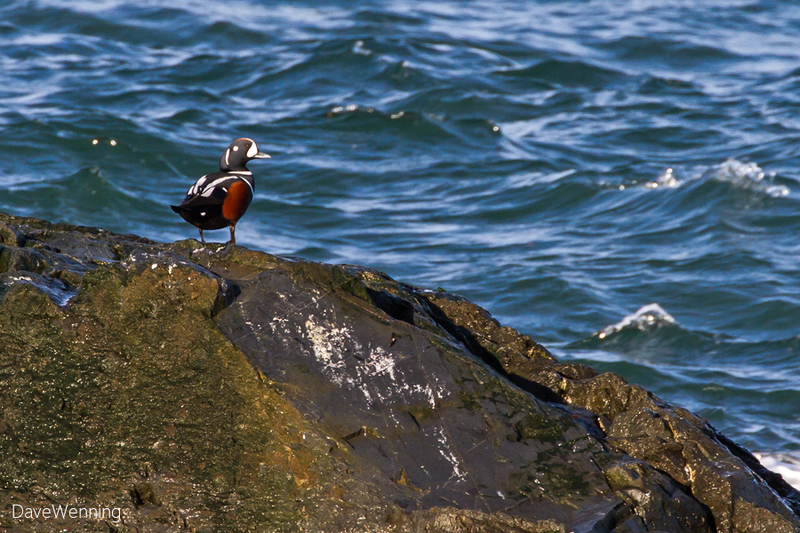 An example of why I keep coming back here is this male Harlequin Duck (Histrionicus histrionicus) spotted on the rock on Saturday. According to Seattle Audubon, in the winter they are common along the western shore of Whidbey Islend and also at Rosario Beach in the northern section of the park on Fidalgo Island. I thought he would stick around for awhile. 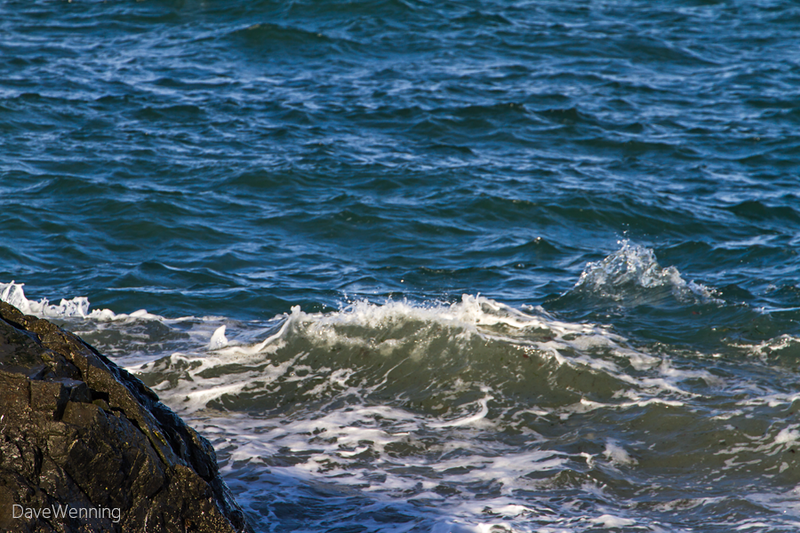 Then a fairly good sized wave broke against the rock and that compelled him to launch. 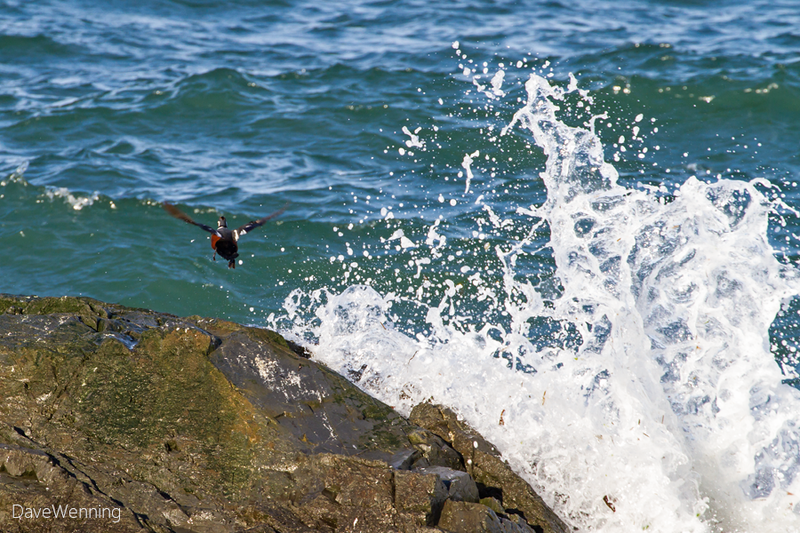 He soared over the water for a moment, then disappeared into the surf. He had more fishing to do before resting. I took several photos at the rock, then headed over to Cranberry Lake at the other end of the parking lot. 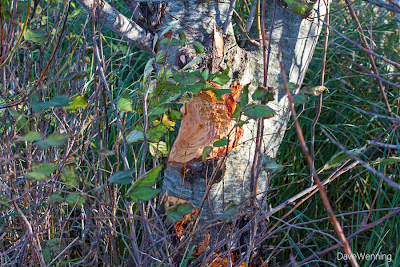 Just off the northern end of the lake, this gnarly Red Alder tree caught my eye. Somebody has been chewing on the trunk. 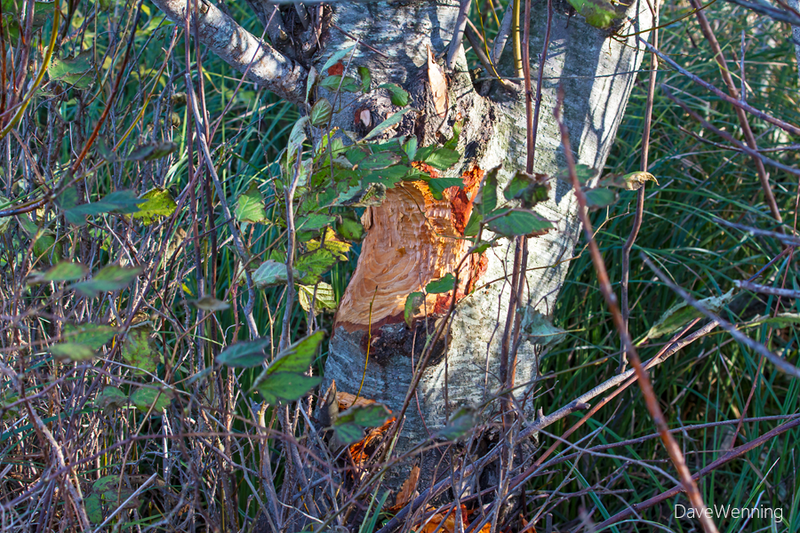 Would this be a sign of beavers living around the lake? I could tell this was not done by humans because the brush around the tree had not been trampled. This will bear watching. Meanwhile the waters in the lake were much calmer than out in the strait nearby. 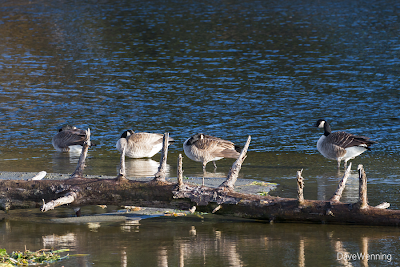 This quartet of Canada Geese (Branta canadensis) were taking some leisure time at the edge of the lake. Recently, I spotted what I believed to be a Lesser Canada Goose subspecies in this same spot. These birds could be more of them. 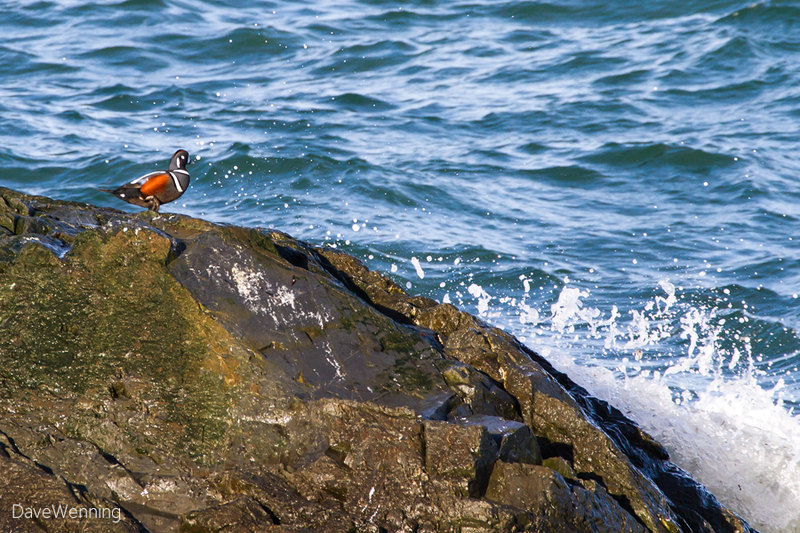 These are probably migratory birds. 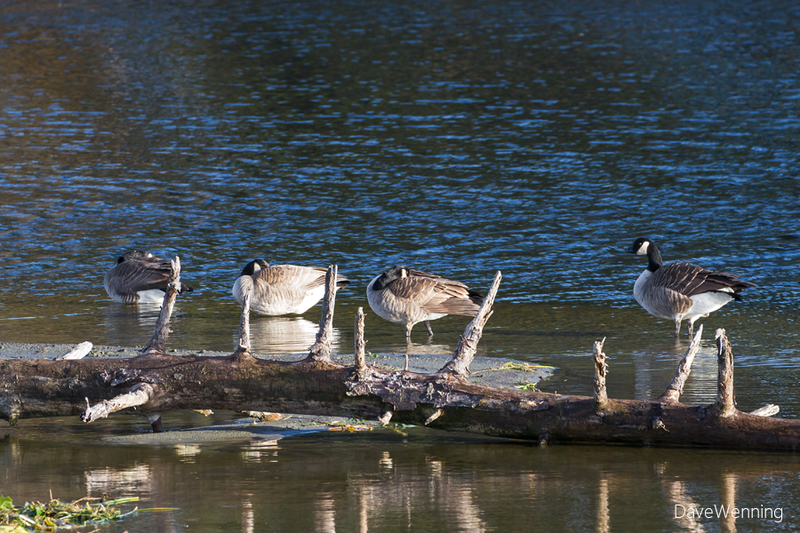 Until last year, there were resident geese at Cranberry Lake. 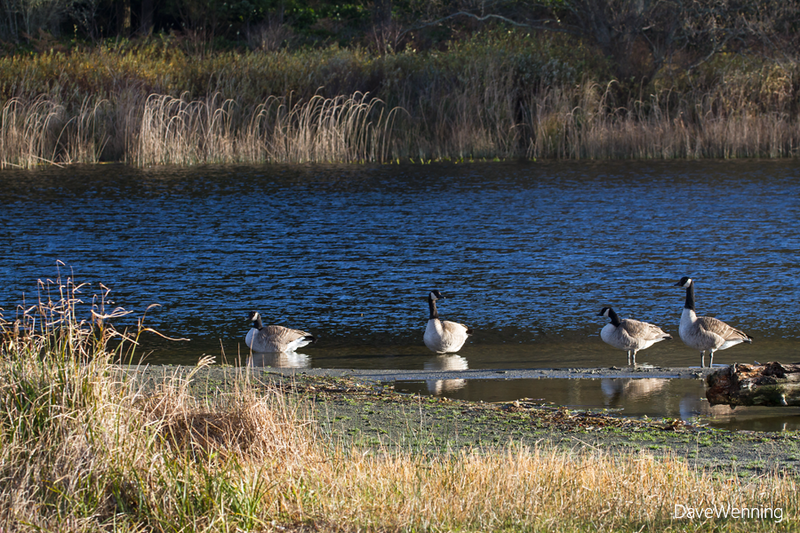 Because of high levels of coliform bacteria in the water, they had to close this popular spot to swimming and the geese were evicted. We probably don't want to know how they did that. After bacterial levels dropped back to normal, the swimming beach was reopened this past summer. 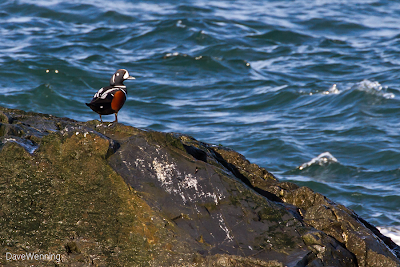 I thought it odd that these birds would choose to nap while still knee deep in the water. I would much prefer to snooze on dry land, but that's me, I guess. 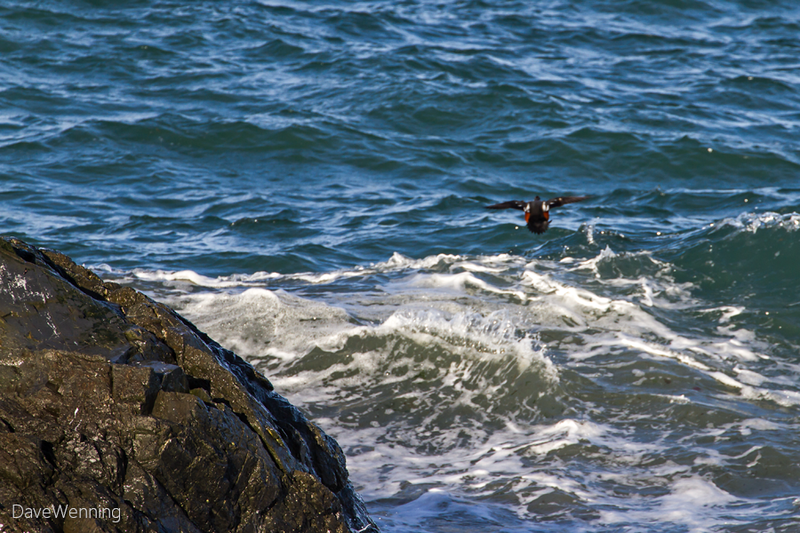 There are more photos of Fraggle Rock bird life over at Wild Fidalgo.